So many unanswered questions regarding the Vegas mass murder, which is getting weirder by the minute. It has now reached Warp Level “Bizarre” and WTF alarms are going off all over the place. The newest mystery involves Jesus Campos, the first victim of mass murderer Stephen Paddock. Campos abruptly canceled five scheduled interviews last night, including one with Fox News’ Sean Hannity. Now, not only is Campos silent, he is nowhere to be found, completely missing. 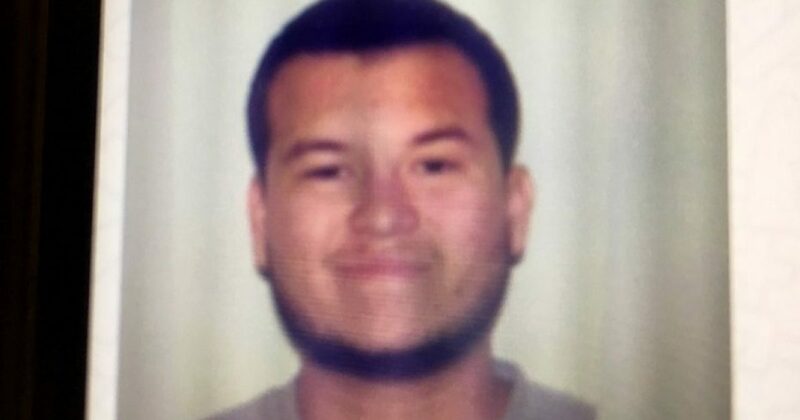 It has also recently been discovered that Campos is not really a security guard, at least he is not registered with the state of Nevada as a licensed security guard, a requirement to work as a security guard in Nevada. Certainly, a hotel the stature of Mandalay Bay would check on a security guard’s proper licensing before hiring him. As can be seen in the tweet and graphic, below, Jesus Campos is NOT a registered security guard in the state of Nevada. There is, however a Larry Jesus Campos. Some are explaining that as the reason Jesus Campos does not appear in the state registry. That sounds fishy too. Although some have claimed that Jesus Campos does not appear in the Nevada state registry for security guards, it may be because he is listed as “Larry Jesus Campos,” as listed in the tweet below. 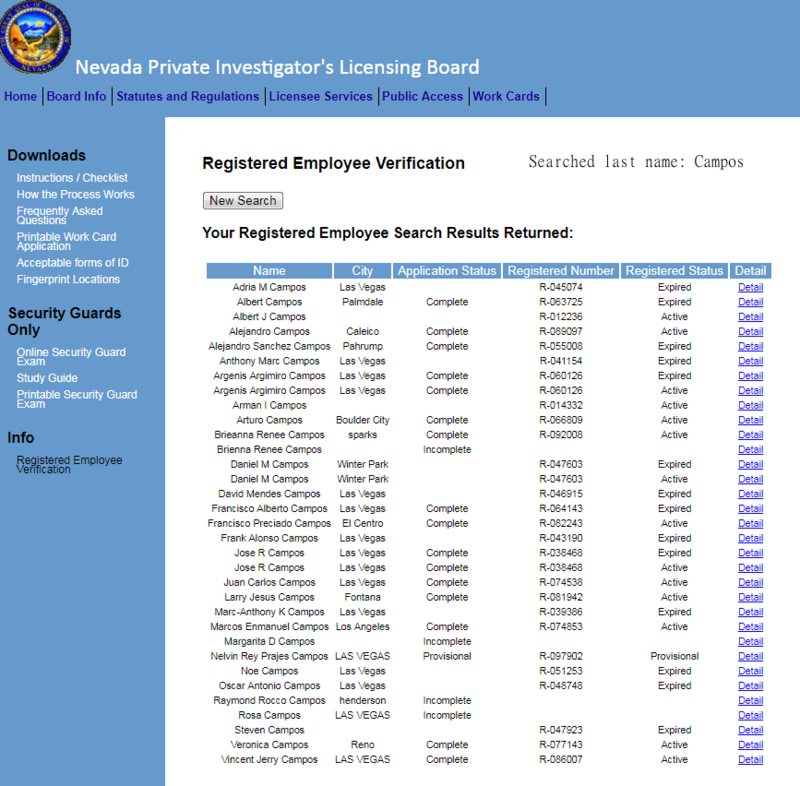 But, then again, the Larry Jesus Campos listed in the Nevada registry is registered in Fontana, as in Fontana, California, not a Las Vegas city. I could find no Fontana, Nevada (graphic, below). Again, more questions than answers and no one is in a hurry to explain the many discrepancies and inconsistencies. If that is not weird enough for you, check this out. Campos cannot be found and there is armed security guarding his house. Why? Why does Campos need security? He is only one of over 500 shooting victims. Why does he have armed security? Where is the threat? His shooter is dead. What is there to worry about? Do the other 500 victims have security? No, unless, of course, they are paying for it themselves, which is my next question – who is paying for Campos’ security? Why? Did Campos see or experience things that authorities don’t want him talking about? Campos differs from the other 500 wounded victims in a few ways. He was the first victim shot and he was the only victim shot inside the hotel. We now understand that Campos was not a Mandalay Bay security guard, or at least he did not possess the proper credentials to be one. Who is he? Why was he there? Why is he being forced to shut up? By the way, his entire family has been given a gag order. Why did Campos schedule five interviews to reveal what he knows, only to abruptly cancel all five and disappear? Who wants him quiet? Why? Even his family has been prohibited from speaking to the press. 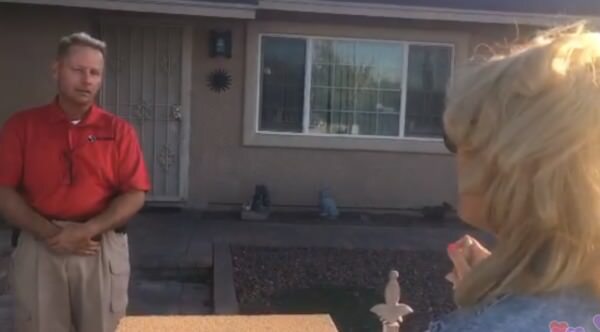 Laura Loomer went to Jesus Campos’ house twice to talk to him. She was met at the home and prevented from entering the yard by armed security. Video of her second nighttime attempt, below. It was the same security guard (pic, below) who met her in front of the house and prevented her from coming closer. He refused to reveal who hired his security firm to guard the Campos house. The one thing we know for sure at this point is that the American public is being kept completely in the dark on this tragedy. Why? Every new revelation discovered leaves more unanswered questions and/or contradicts previous reports. Is the truth so bad it is being kept from the American people?